Barcelona scored three times in six minutes and completed what seemed an impossible comeback. "Barcelona are out of the Champions League, absent from the quarter-final, for the first time in a decade. That is no surprise; the surprise is that for an hour here it looked like they might not be. 3-0 up with thirty minutes left to get a fourth, that would have leveled the tie. Instead, Edison Cavani scored the goal that ended it, taking Paris Saint Germain through instead." Sport, the same as life, produces scripts that are scarcely believable. Sid written his report, ready to publish, when in the 88th minute Neymar popped up with an incredible free kick that soared into the back of the net with like laser like accuracy. Still, no danger of Sid having to change anything. After all, Barcelona required another 2 goals and 89 minutes of the 90 had been played. 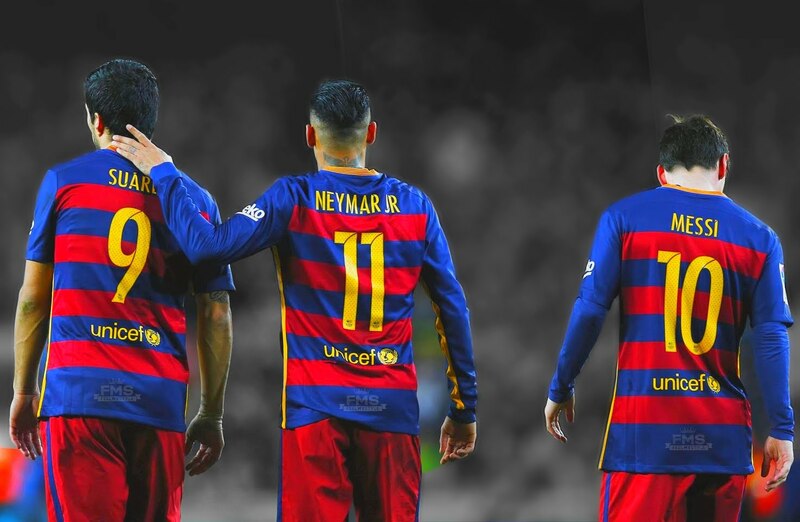 This Barcelona side though are freaks - in the best possible way. Messi, 29, has scored 335 goals in 370 games. Suarez, 76 goals in 86 games. 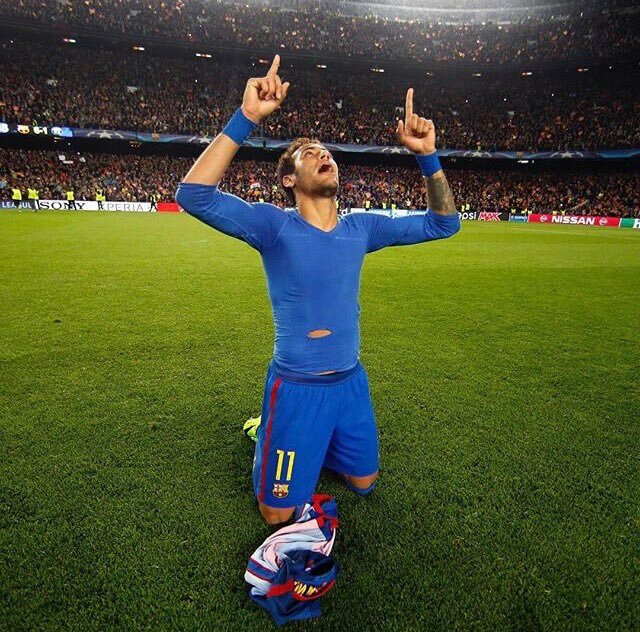 Neymar, 63 in 115. With that kind of firepower perhaps what happened next was inevitable. 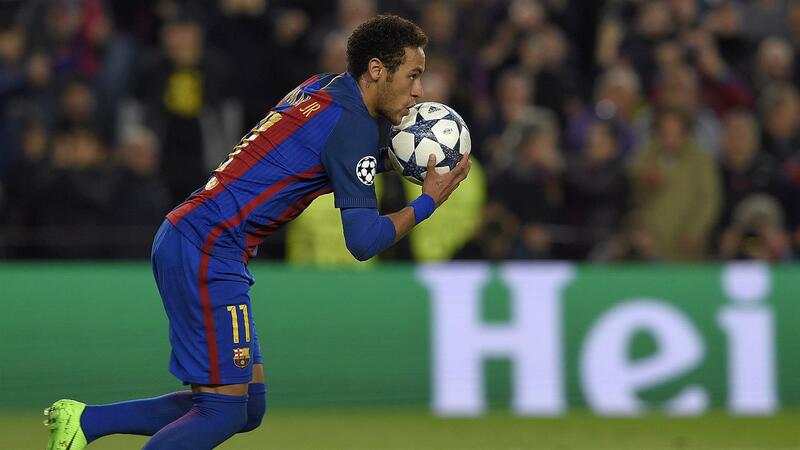 A ball was lofted over Marquinhos's head, and in his desperation to prevent Suarez from shooting he bought him down. This was the 90th minute. Neymar was the man responsible for keeping the dream alive and he did so with aplomb as he tucked the penalty away into the right hand corner. Camp Nou was rocking. The most unlikely sporting story since Medinah was very much alive but Barcelona were fast running out of time. They won a free kick deep into the PSG half and so ter Stergen, the keeper, rushed up field to join his team-mates in the box. The free kick was floated in, and cleared. Neymar picked it up, 45 yards from goal, jinked past one and beat another and played a clever lofted pass where Sergi Roberto, a product of La Masia, was on hand to volley it in. 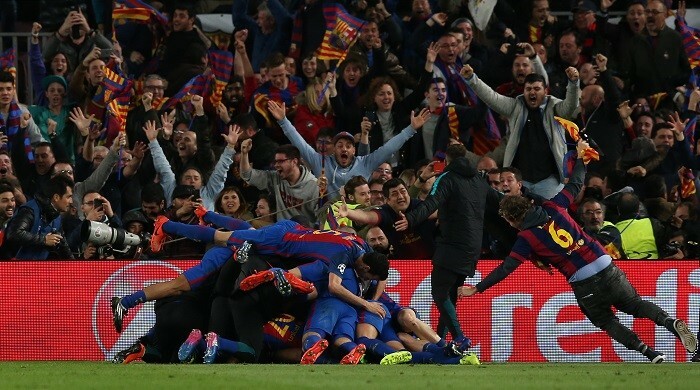 Luis Enrique ran 70 yards to join his players to celebrate. Strangers in the crowd were hugging and kissing each other. Grown men and women were in floods of tears. Barcelona, and their eleven players, did not give up. They believed and that belief carried them to the most unlikely of successes. 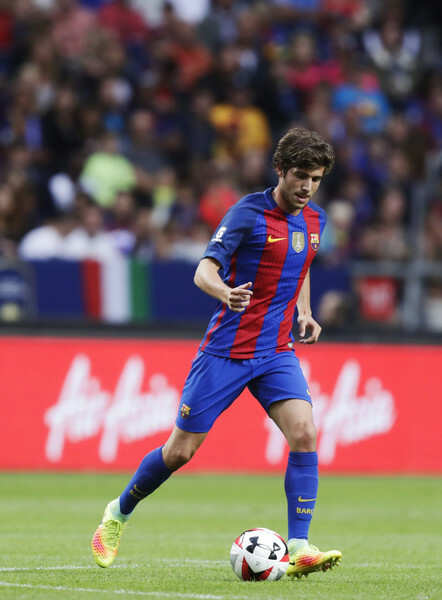 Everyone who watched the drama unfold will be left with with memory of Sergi Roberto's outstretched right leg. And that's the thing with sport, it throws up unlikely hero's. Roberto, arrived at Barcelona's academy at just 13 years old. He made his debut in 2010 but his career drifted and at the start of 2015 was looking for a new club. But Luis Enrique converted him to a right back and it looked like his Barcelona career had been saved. But this season he has been a target of ridicule from his own fans for his performances have not been up to standard and fans have begged Enrique to drop him. It was fitting that a man who had been at the club for ten years, and who had been written off, secured the most unlikely of comebacks - both personally, and for his team. Sport can teach us many things and last night was a reminder that if you persevere, if you believe, then you are capable of greatness and that the most unlikely victory is in fact always within your grasp. Sid Lowe had to change the start of his article after 6 minutes of madness. "Suddenly there were people running across the pitch, bodies cascading down the stands, a collective hysteria taking hold of the Camp Nou, and the kind of noise that even this famous arena, the biggest football stadium in Europe, had never heard before. Something magical had just happened, something utterly implausible. Football, bloody hell? How inadequate those two words sound now. All the expletives on Earth would struggle to do justice to this. Barcelona are where they have been every year for 10 years now, into the quarter-finals of the Champions League, but they got there in a way they never have; a way that no one ever has. Not just one comeback, but two. Dead, revived, dead, revived. Somehow, they are still standing." "Another belief of mine; that everyone else my age is an adult, whereas I am merely in disguise." "Trust and belief are two prime considerations. You must not allow yourself to be opinionated."